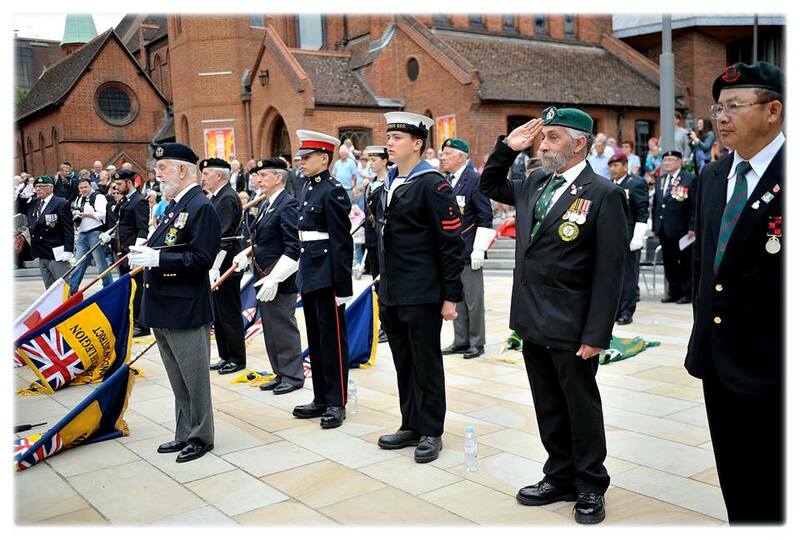 The Woking Armed Forces and Veterans Annual Parade was held on June 24th. 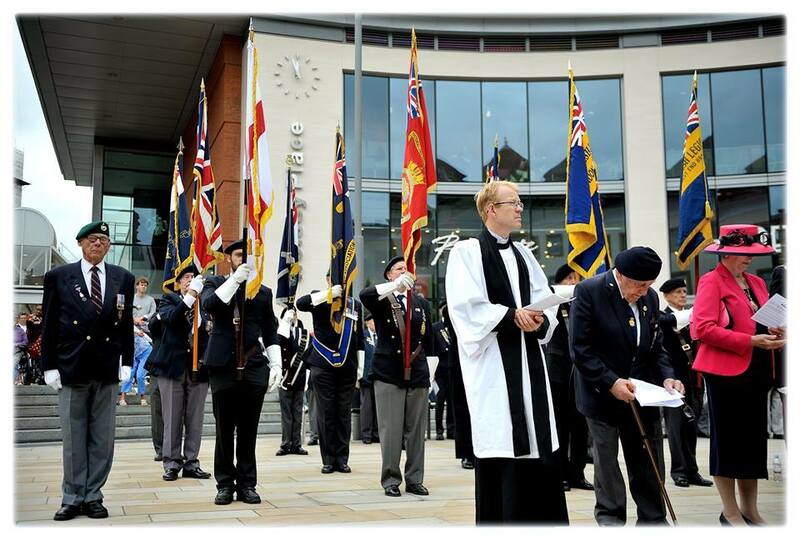 Led by the Woking Branch of The Royal Naval Association and this year’s event commemorated, in particular the 100th anniversary of the formation of the Women’s Royal Naval Service (known by sailors as the Jenny Wrens). 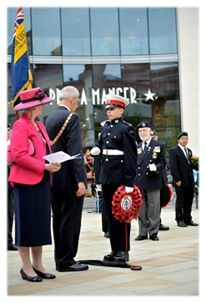 The parade marched through the town to Jubilee Square, where there was a short service, wreath-laying at the Woking War Memorial, and a march past taken by the Woking Mayor and Mayoress, Councillor Graham and Mrs Sarah Cundy. 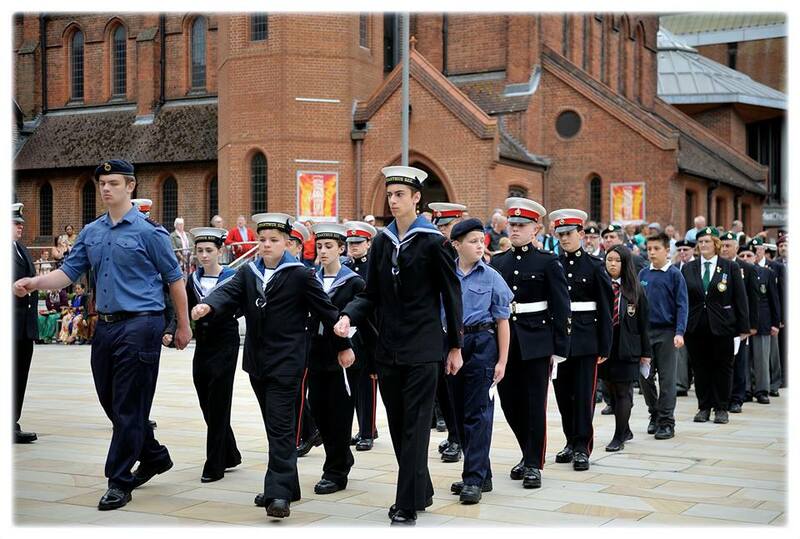 The South African Legion England Branch & the RBL South African Branch have a long standing relationship with the Woking Branch Royal Naval Association, and it’s one of the highlights of our calendar to take part in the parade. 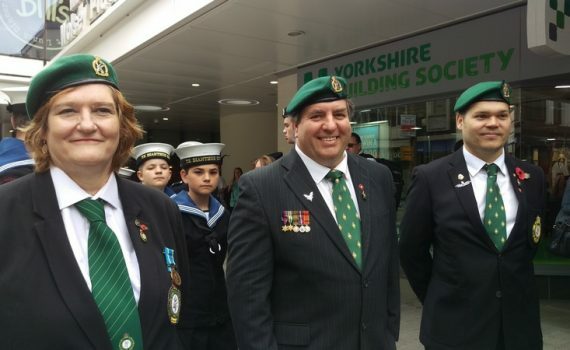 This year the SA Legion was represented by Lgr Cameron Kirk Kinnear (Regional Chair), Lgr Claudio Chistè (England Branch Chair), Lgr Theo Fernandes (who laid the wreath on behalf of the branch), Lgr Justin Bosanquet and Lgr Lesley Ferrando. After the parade, refreshments were served at the Woking Railway Club; this provided an opportunity to for fellow veterans to catch up and mingle, many of whom served in WWII. 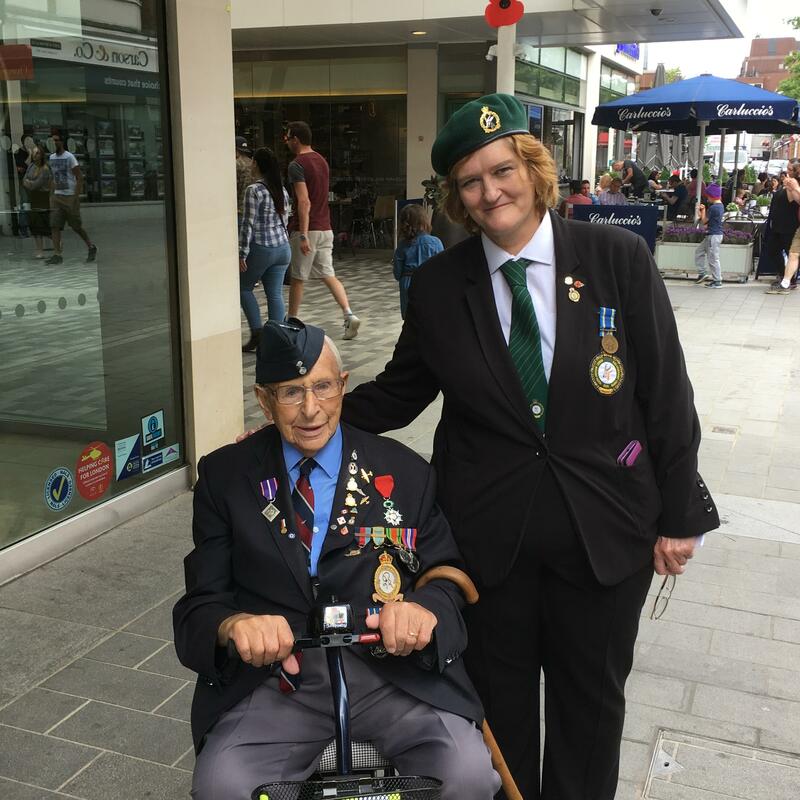 Amongst others; interestingly, one of the oldest veterans in attendance, Woking resident Bill Moore (93), had a strong southern African connection! 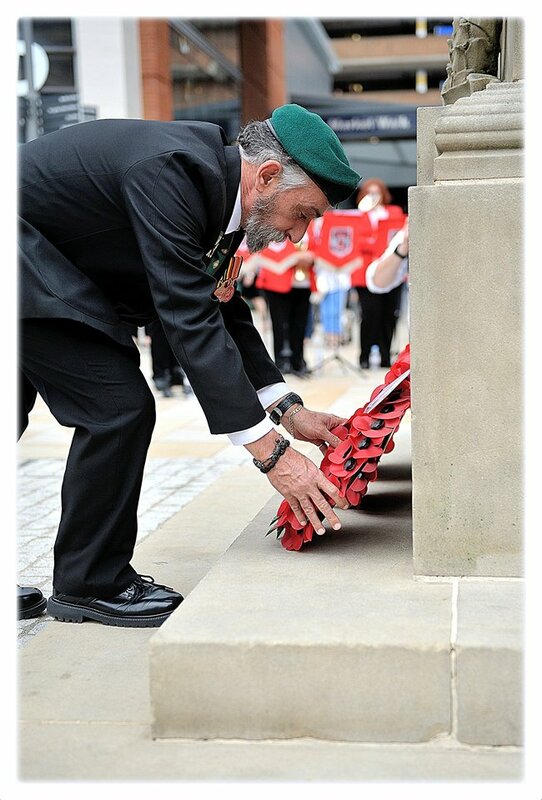 Bill was born in Dunoon, Scotland and served during WWII in 138 (Special Duties) Squadron of the Royal Air Force, which was later assigned to Bomber Command operating under No. 3 Group. He was based at RAF Stradishall and RAF Tempsford. He flew Westland Lysander planes into occupied territories to place or recovery agents and equipment. The Lysander was favoured because of its exceptional short-field performance which enabled clandestine missions using small, unprepared airstrips. Bill tells some interesting stories about some of the agents and resistance members they dropped off and pick up – among them four young men who went on to become prime ministers of France! Bill’s squadron was also the first to begin dropping food to the Dutch to alleviate the terrible famine in the occupied country during the winter of 1944 – 1945. By the end of the war 138 Squadron were stationed at RAF Tuddenham in Suffolk, and from there flew to pick up prisoners of war and return them home. Throughout his service during the war, Bill earned an impressive array of medals – including the French National Order of the Legion of Honour and the RAF Air Crew Europe Star (“France and Germany”). Other medals include the RAF 1939-1945 Star (“Bomber Command”); RAF Defence Medal; and RAF War Medal. 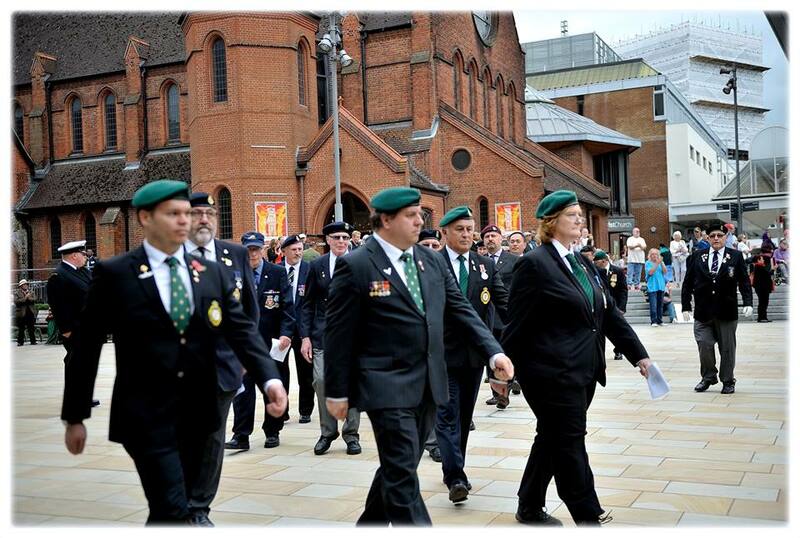 Bill has a long connection with Africa, which draws him to the SA legionnaires – he went out to Rhodesia after the war and spent 50 years there, at times involved in building infrastructure. He tells an amusing story of turning an airfield into a racecourse in only a few days for a Royal Visit by the late Queen Mother – although as he remembered with a smile the wind sock had to stay up! Bill returned to the UK some 14 years ago. The most important thing to him is his family, and he’s fortunate to have a number of them reasonably nearby. His oldest great-grandchild is in his mid-twenties, and the youngest is just 15 months old. 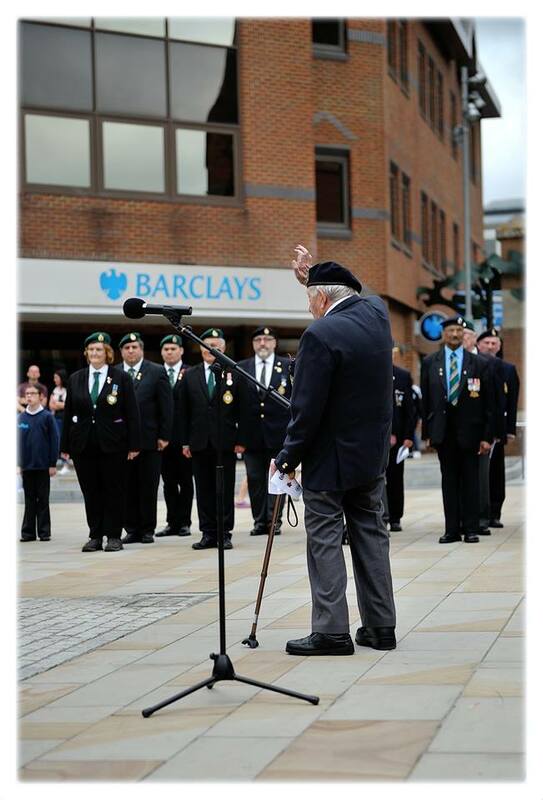 It was a real privilege to have the opportunity to talk to Bill and hear a little more of his life story, an unexpected benefit of taking part in the parade.